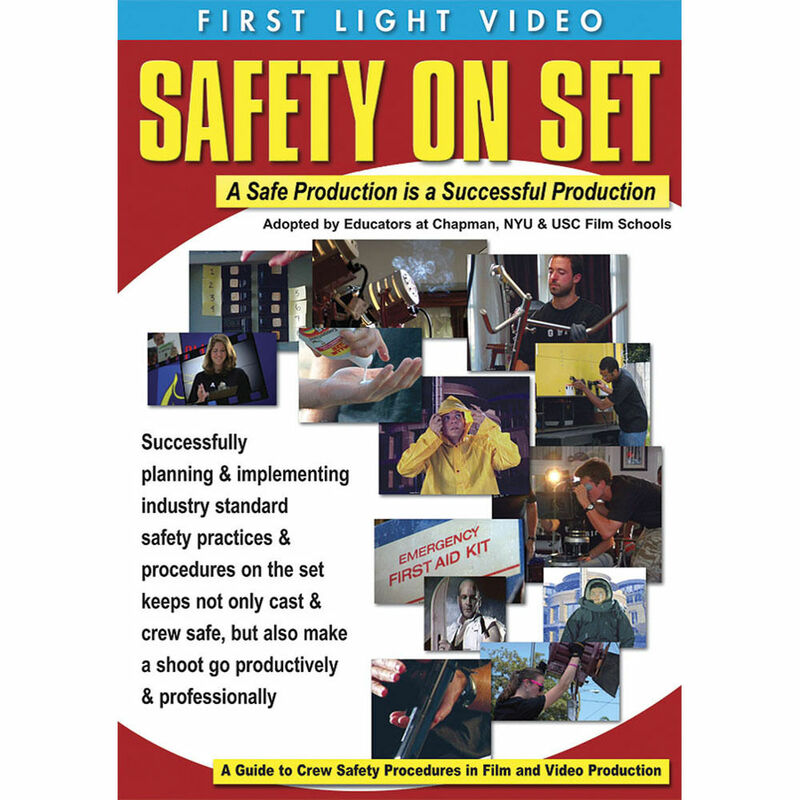 The First Light Video DVD: Safety on Set: A Safe Production is a Successful Production is a comprehensive guide to safety procedures for the crew on a film or television set. These industry-standard safe practices distinguish professional filmmakers from amateurs. 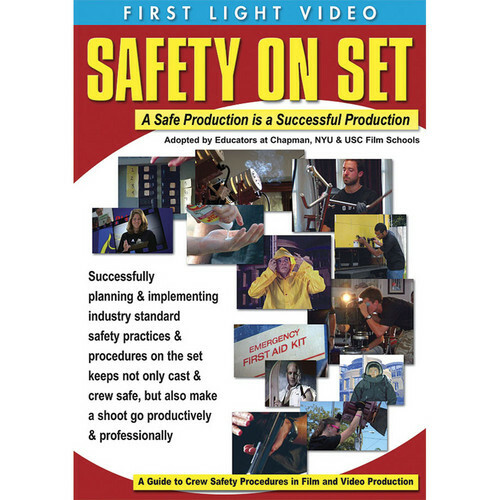 The DVD stresses the important point that safety should be the first concern of every crew member involved in a film, television or video shoot. The equipment used in production can be particularly dangerous and the speed and improvisation which are in the very nature of the film making process put individuals at greater risk of injury - unless they are conscientious of safety at every moment. The volume comes with a safety manual and checklist that can be reviewed with every crew member and should be used for every shoot. Subjects covered include: Preparation For The Shooting Day, The Role of the First Assistant Director, The Safety Meeting, Proper Attire for a Film Shoot, Equipment Trucks, Moving & Lifting Equipment, Power Distribution, Stands & Rigging, Lighting, Dollies, Proper Nutrition & Hydration, Working With Talent, During The Shoot, Fire, Stunts & Firearms, Meal Breaks, Company Moves, Shooting Outdoors, Heat & Sun, Rain And Weather, Working At Night, Length Of Shoot & Turnaround, The Wrap, and Common Sense Tips.